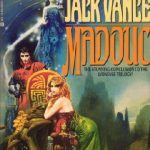 More sad news floats in on the heels of the relatively recent death of my friend Harry Harrison – the fabulous fantasy and SF author Jack Vance has now passed away too. It seems the season for it. 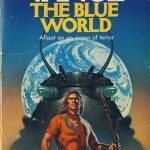 He was one of my favourite writers, and you can find many a nod to The Dying Earth novels in my own Jackelian books. 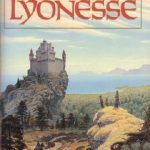 As well as SF, Jack was a dab hand at fantasy, and his Lyonesse works had an ethereal fairy quality about them that I’m damned if I could ever imitate. 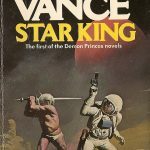 Jack Vance passed away at home on the evening of Sunday May 26, 2013, ending a long, rich and productive life. Recognized most widely as an author, family and friends also knew a generous, large-hearted, rugged, congenial, hard-working, optimistic and unpretentious individual whose curiosity, sense of wonder and sheer love of life were an inspiration in themselves. 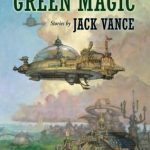 Author, friend, father and grandfather – there will never be another like Jack Vance. 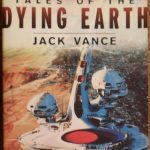 I’m going to run a few book covers here rather than a photo of Jack, as when we’re gone, the stories are really all that remain – that and the bones of the Earth & the dust of men. « The creative writing courses controversy?